The University of Central Lancashire is the eighth largest in the UK. 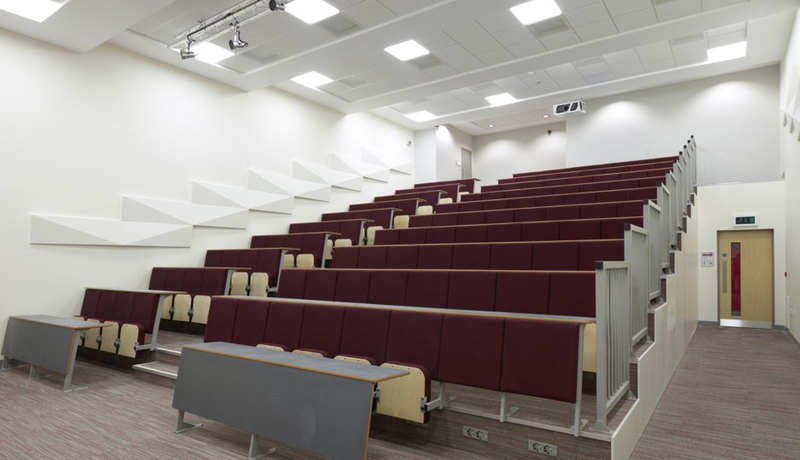 As part of its carbon-reduction scheme, the university wanted to standardise its lighting to a few suppliers, to ensure quality and continuity. Working with a digital-dimming lighting-control supplier, we have now been appointed as one of UCLAN’s LED-lighting partners. We supply LED lighting to all the commercial areas on multiple campuses alongside another lighting supplier providing classroom lighting. By changing its current 4x18w T8 fluorescent to Allied Lucid 60 panels, the university immediately made 63% electrical-consumption savings. This, alongside the digital dimming system, will see even greater savings.